civility | When I Survey . . .
Let me begin my reflections by invoking the motto of the great Reformed Pastor Richard Baxter (1615-1691), which can be translated as: “In essentials, unity; in nonessentials, diversity; in all things charity.” (He seems to have got it from the German Lutheran theologian Peter Meinerlin). Baxter referred to essentials as “necessary things” and to nonessentials as “doubtful things,” and it seems to me that many of the strains we experience in the UCC are because of the difficulty in distinguishing between what is essential and what is nonessential, what is necessary and what is doubtful, by which Baxter meant what is open for discussion. To make these distinctions in the United Church of Christ will not be easy, but I am convinced that unless we carry out a continuing and wide-ranging debate on what constitutes our essentials, both our unity and diversity will continue to be imperiled. I speak to you as a lover of the church, a local church pastor who has been through the chairs of denominational and ecumenical life. I worry about the church these days. Any alert church person knows that the church is undergoing profound and far–reaching changes. The church of tomorrow will not look like the church of today, of that we can be certain. A flurry of books has appeared on the decline of the mainline churches, such as Loren Mead’s The Once and Future Church, Leander Keck’s The Church Confident, and Jackson Carroll and Wade Clark Roof’s Beyond Establishment: Protestant Identity in a Post–Protestant Age, just to name a few of the most recent ones. All describe changes that are taking place, using words like “crisis” and “malaise.” All offer some tentative steps that may help the church to move in fruitful and faithful directions. None can see clearly what the future church will look like. Mead is convinced that the new church that is being born out of the old mainline will not be seen clearly during our lifetimes and I tend to agree with him. God is doing a new thing, of that we can be sure, but just what it is that God is doing is not so easy to say. To prepare ourselves and our church for this future requires the debate about which I have spoken, a debate grounded in study and prayer, a debate that clarifies and articulates what it is that constitutes the United Church of Christ, a debate that seeks passionately to discern the essential defining marks of our life about which we need unity; that defines, too, what are the nonessentials that can be left to Christian freedom in a wide-ranging diversity, and how do we recover the charity in all things that the Apostle Paul said is the greatest gift God gives to those in the body of Christ? Let me share with you some of the threats to our unity that I see. The first threat to our unity that I want to suggest to you is what I call a faulty inclusivity. I believe that the gospel creates its own diversity, addressing and calling all sorts and conditions of people. But diversity of “races, tongues and nations” or even theological viewpoints is not the same thing as diversity of faith. To paraphrase P. T. Forsyth, “Diversity is a fruit and not a root.” Our diversity is rooted in the unity we have in Christ, and in that unity let us strive to be as diverse as possible. But in many cases our diversity has been regarded as a creed extended to everyone and everything without adequate account for the essentials that define our community. Now I would be the first to cry foul if I perceived the UCC to be faced with a crisis of exclusivity: of rigid, arbitrary, and legalistic bars to membership or participation, but that is not our problem. In the culture of the United Church of Christ “exclusive” is considered a bad word, “inclusive” is a good word. A friend of mine who is a UCC pastor and spent some of his formative years within the ranks of conservative evangelicalism says that the word “inclusive” in UCC circles reminds him of nothing so much as the word “inerrant” in evangelical circles. Nobody really defines it, he comments, but we all are supposed to know what it means, and if you aren’t you are in trouble. It’s used as law, not as gospel. Our problem is not in the area of exclusion; our problem is a faulty inclusivity that often fails to distinguish between the authentic need for Christian confession around membership and the desire to be tolerant and nice. Let me offer a personal anecdote. A decade ago when I was relatively new to Berkshire County my friend, the local rabbi, made an appointment to see me. He seemed uncharacteristically nervous and it soon became clear why. Two of his congregants had informed him that they were “members” of one of our UCC churches in Southern Berkshire, and that the pastor of that church told them that there was no problem belonging to both the synagogue and the church, because we worship the same God, “and we are open here to people of all religions,” including, I later found out, some who identified themselves as Buddhists, and some who are Hindus. I told the rabbi that I found that interpretation of local church autonomy incomprehensible, and would look into it. When I mentioned this to a member of the Church and Ministry Committee, I was told that each local church is responsible for forming its own covenants and requirements for membership and that this church was within its rights. I can’t imagine that the founders and framers of the United Church of Christ ever imagined that a local church would or could decide to become a syncretistic religious fellowship across faith boundaries. When I talk this way about excluding people from membership in our churches who clearly are not practicing Christians, who are honest enough to say they do not confess faith in God and do not consider Christ to be the head of the church, I hear in response that we are not a creedal church. That is true in comparison to the way creeds function in other communions. We do not hold them up like litmus paper to test people’s orthodoxy. They are “testimonies and not tests.” Nevertheless, the United Church of Christ is a Christian Church in the classical Christian tradition. Our constitution says that we honor “the historic creeds and confessions of the Christian Church.” We are a church, not a sect, and though we provide space and freedom for a wide variety of viewpoints and perspectives we do not make it up as we go along. Essentials such as the Trinity, the headship of Christ over the church, the two sacraments of Baptism and the Lord’s Supper, the authority of the Bible, just to name a few, are not optional items to be embraced or discarded at our whim. They belong to the whole Christian church of which we are a part. Members join our congregations by profession of faith and that faith has content. Which leads me to my second threat to our unity. So when I speak of orthodoxy I do not mean a rigid, unchanging set of dogmas, but rather that collection of articulations and expressions that allow the church to give God “right praise” which is what orthodoxy means. This includes knowing whom it is that we are praising. I am arguing for what Hans Frei called “a generous orthodoxy.” “Generosity without orthodoxy is nothing,” he said, “but orthodoxy without generosity is worse than nothing.” Such orthodoxy’s lines are never fixed or rigid, and must always be redefined. It is the responsibility, even the duty, of the church to do this, as the preamble to our constitution exhorts: “[The United Church of Christ] affirms the responsibility of the church in each generation to make this faith its own in reality of worship, in honesty of thought and expression, and in purity of heart before God.” But it is not just any faith that we must make our own, it is this faith, previously defined as the “faith of the historic church expressed in the ancient creeds and reclaimed in the basic insights of the Protestant Reformers.” So the historic faith in its basic contours must be made our own, not something new of our own making. And when what is essential gets redefined by each generation, the ecumenical church must get its vote across space, and the communion of saints must get its vote across time. So deciding what is essential for the church’s life must not be left to the whim of every local church and pastor or judicatory on an ad hoc basis. In this regard, I am dismayed by reports of local pastors using ad hoc baptismal formulas in their baptismal liturgies in the name of inclusive language. This is putting enormous strains on our unity both within the United Church of Christ and ecumenically. I have represented The Massachusetts Conference of the United Church of Christ on the Massachusetts Commission on Christian Unity for nearly a decade. Over that time I have had to defend us against the questioning of some of my ecumenical brothers and sisters about whether we are a bit loose and free with some things on which we thought we had agreement, such as baptism by water in the “name of the Father, the Son, and the Holy Spirit.” In the past, when somebody asked me about irregular baptisms in UCC congregations, I always explained the nature of our covenantal model of ecclesiology and indicated the traditional formula as it appears in the Book of Worship. At the commission’s annual meeting last year we were told about a neighboring state where a common ecumenical baptismal certificate had been created as a tangible expression of Christian unity. This had been signed by judicatory leaders representing Eastern Orthodoxy, Roman Catholicism, and every mainline denomination except the United Church of Christ. The fact of a conference embracing such a policy makes my previous defense seem disingenuous. It takes little imagination to foresee the ecumenical implication of such a move. A related form of amnesia that threatens our unity and the integrity of our mission is our forgetfulness of the language of Zion, the biblical and theological thought-world that is or should be the church’s proper primary language. I have been noticing for some time now how therapeutic, managerial and political language dominates the church’s discourse. Where once the church spoke of sin and grace, covenant and promise, holiness and righteousness, now we are more likely to hear other tongues. Therapeutic language speaks of co-dependence and dysfunction; managerial language speaks of goals and objectives and accountability; political language speaks of victimization and oppression. These are helpful perspectives to be sure, and the church has always adopted and even baptized the language of the culture around it, but always in the past as second languages. I am struck by how much these foreign tongues completely dominate churchly discourse. Like second-generation exiles we have forgotten our native tongue and no longer know how to speak to one another in it. And since we no longer speak it in the home and less and less in church it is highly unlikely that our children will learn it, except a few nostalgic phrases the way many second generation immigrant families hold on to scraps of language they learned from grandma. Which leads me to my next point. Related to historical amnesia is our failure to transmit the faith to the next generation. The reasons for this are complex and far beyond our control. The network of support structures that not so long ago supported Protestant America are, for better or worse, gone. The culture will not make people Christian, and in a church as heavily identified with culture as the UCC is, the intentional transmission of the faith will be all the more critical as the culture changes and becomes more secular. I am currently involved in a doctoral project entitled “Christian Literacy: Remedial Catechesis for Adults” in which I have designed an eight-week adult curriculum entitled A Course in Basic Christianity. There are 29 participants from my local church in the program, which is in its fourth week. Already we have learned some interesting things. This sample of people has few birthright members of the UCC or its predecessor bodies. The majority learned the faith elsewhere. Most have more understanding of the basic contours of the Christian faith than they thought, but they have had little experience of thinking and speaking theologically. They find, however, when they do it is empowering and exciting. They are relearning a forgotten language that once they knew. This was truer for the older members than the younger ones, however. In the late nineteenth century Horace Bushnell wrote Christian Nurture and challenged the prevailing conversion model of his day. But Christian nurture then had the support of the family, the school and the culture as well as the church. That synthesis is over, and Christian nurture is now a failure everywhere. The Puritans worried about an unregenerate clergy. We should worry about an unnurtured clergy and laity, and muster everything in our power at every level to educate and nurture our people in the basics of the faith. Likewise we need a renewed emphasis on evangelism. We are doing this in my congregation, having participated for three years with the Evangelism Institutes sponsored by the Board of Homeland Ministries. Transmission of the faith is never merely done by Christian education but also by invitational evangelism. But of course, it is not opinions that one feels compelled to evangelize about, it is good news; if you regard what you believe as a preference rather than the truth, evangelism will wither, as it so often has and does in our churches. Which leads me to my next threat to our unity. This ideology of pluralism states that all opinions are equally valid, and in doing so relativizes all religious truth claims. Many of the baby boomers who are joining our churches do not believe the Christian faith is true over other faiths, they merely have a preference for it, out of historical nostalgia or familiarity. In his new book, A Generation of Seekers, sociologist Wade Clark Roof finds that baby boomers are generally inclined to like choice, tolerance of different lifestyles, mixing religion and psychology, and doing what works for them. Roof calls this religious consumerism and individualism “transformed narcissism,” and he suggests that it is what much of what America’s religious future will look like. The genuine openness (as well as the faulty inclusivity) of the UCC is very attractive to some of these people. That is the good news. The bad news is that their loyalty to denominations is very low, they pick and choose only the parts of the faith of the church that meets their needs, they are notoriously lousy givers, and if they feel moved to leave for a better deal or just stop being interested they will drop out without a thought. Every pastor knows this crowd. According to Roof, for the boomers tolerance is equated not with respect across religious lines so much as the belief that religion is an individual enterprise and one cannot talk of truth but only of preference. In an increasingly pluralistic society this attitude is highest among the best educated, those who make up one of our core constituencies. How we deal with the question of truth in a pluralistic world then becomes a pressing question for us, and has many implications for our unity and diversity. To my mind the most eloquent of the recent Christian thinkers on this question is Bishop Lesslie Newbigin, a British theologian who was for forty years a missionary in India. Newbigin makes a convincing case that the learned spokesmen and spokeswomen of contemporary Christianity who argue against making exclusive claims of truth on behalf of the gospel are in fact not making Christianity more available to their contemporaries, as they often argue, but are embracing an alternative view of history, an alternative faith actually, and in so doing are selling their birthright for a mess of pottage. To judge the gospel by the prevailing worldview is to betray it, for the gospel itself is a view of history that calls into question every other way at looking at human history and destiny. To take but one example of how this works let us look at the interpretation of a biblical text. According to modern views a text is best understood from some outside perspective, an Archimedean point from which the observer can make sense of it. From this point of view we examine the text but the text doesn’t examine us. Newbigin might say that we have tried to understand the gospel from the point of view of the world, when in fact the world must be understood from the point of view of the gospel. He in no way rules out dialogue and discussion with other faiths and points of view, but admonishes us as Christians to be clear that we have a position that makes claims for itself, which cannot be denied by deciding in advance that all views are equally valid. 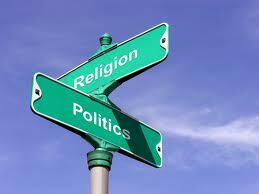 That is of course just what the ideology of pluralism asks of those who come to the discussion. One of the dogmas of the ideology of pluralism is the refusal to even consider the question of truth; even some Christians are now asking that truth questions be put aside for the sake of some elusive unity. Newbigin wants to claim that the Christian religion is the truth, not a truth, one among many. This of course flies in the face of modernity, challenging perhaps its most widely held dogma, that in “private” matters like religion there can be no truth. Newbigin argues for a view of the Bible as universal history, not as merely a sectarian story for a peculiar people, but the story for all people. He supports this claim by arguing for Israel and the church to be seen in terms of election to fulfill God’s intention for all humanity, and, finally, for Jesus Christ to be understood as the clue to history. In spelling this out he articulates an interpretation of history that does justice to the biblical narrative. The final threat to our unity is not about substance, but about style. I will call it the loss of charity, which is the Christian term, although in secular discourse it is often called loss of civility. Christians are admonished “to tell the truth in love,” but in the current climate of the church it gets harder and harder to do that. By charity I do not mean denying or glossing over differences. It should be sufficiently clear to you by now that I have strong opinions and I am willing to share them. I expect that others will do likewise, and let the opinions stand on their own. But that is getting less and less possible in the church. The insight that all politics are personal has made all discussions personal. Attacks are frequently made ad hominem. It‘s a hard time. Angry and bitter words are spoken, and they hurt. People are more and more pigeonholed into groups and positions. I find time with my clergy colleagues to be less and less a time of support and solidarity and more and more a time of nervous defensiveness. Which is to say that our unity can never be based on like-mindedness, on some political solidarity or shared cultural life, movement or cause. No, we are admonished to have the same mind among us that was in Christ Jesus, and it is our relationship to Christ, the head of the church, that we find our unity with each other. It seems to me that our polity is the attempt to order our life by the fact of our unity in Christ. When I was a theological consultant to the UCC sub-committee on ecclesiology I remember Reuben Sheares returning again and again to the point that the parts of the church are in relationship with each other because of the fact that they are in relationship to Christ. The key phrase in the constitution is “in mutual Christian concern and in dedication to Jesus Christ, the Head of the Church, the one and the many share in common Christian experience and responsibility.” I recall thinking, “My God, he really means that! ” and thinking as well, “What a radical belief that is.” Its implications are crystal clear: unity cannot reside in offices, whether we have bishops or not, nor in liturgies, or in creeds, or in causes, or in polity procedures. That is why both Book of Worship and Manual on the Ministry are more descriptive rather than they are normative. 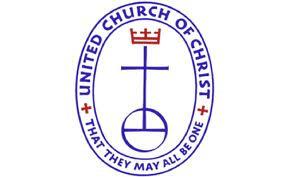 So to state the obvious, but often overlooked fact, the United Church of Christ has its unity in Christ. What does that mean? It means our unity is something God-given that we do not create or make happen. The Statement of Faith of the United Church of Christ declares: “In Jesus Christ, the man of Nazareth, our crucified and Risen Lord, God has come to us, sharing our common lot.” In Jesus Christ, God has come to us. Our unity is the result of an act of God, and therefore we need always to look to the acts and purposes of God as attested in the scriptures. This means we must give up modern theology’s inclination to look at the life of Jesus alone, as if we could know him by analyzing his teachings or delving into his personality. To know who Jesus is is to know what he does, and chiefly in his cross where he saved us from sin and death. This is how early Christology developed (see, for example, Marinus de Jonge Christology in Context: the Earliest Christian Response to Jesus, 1988) and it is still the way Christians come to know Jesus personally, by what he does for us, not by contemplating his nature. As Catherine Mowry LaCugna says, “The mystery of God can be thought of only in terms of the mystery of grace and redemption. We can make true statements about God — particularly when the assertions are about the triune nature of God — only on the basis of the economy, corroborated by God’s self-revelation in Christ and the Spirit. Theological statements are possible not because we have some independent insight into God, or can speak from the standpoint of God, but because God has freely revealed and communicated God’s self, God’s personal existence, God’s infinite mystery. Christians believe that God bestows the fullness of divine life in the person of Jesus Christ, and through the person of Christ and the action of the Holy Spirit we are made intimate partakers of the living God.” (LaCugna, God For Us ,The Trinity and Christian Life. San Francisco: Harper & Collins, 1991, pp 2,3) To know Jesus is to know him as Christ crucified, as Christ within the self-revelation of the triune God. The act of God in the cross of Jesus and the raising of Jesus, the Christ-event, disclosed Jesus’ identity within the activity of God, so that the church’s subsequent reflection and articulation of the person of Christ arise from that event. The same is true for the theological discussions of the early centuries. So, for example, the Christological and Trinitarian controversies were focused around the vexing question of how the “man of Nazareth” who died on the cross for our salvation and the Eternal God were related. In these debates it is what God does that tells us who God is. For example, St. Athanasius dedicated his career to defending the notion that Christ is God, since Christ is our Savior and it is only God who can save. The doctrine of the Trinity, which is the specifically Christian way of speaking about God, guards this critical Christian truth from being lost or diminished, for it summarizes what it means to participate in the life of God through Jesus Christ in the Spirit. Too much modern theology cares little for the Trinity and has either diminished or let go altogether the central Christian affirmation that “God was in Christ, reconciling the world to himself.” (2 Corinthian 5:19) That act of God in Christ centers on the cross, the lost chord in modern theology. Jesus Christ is our crucified as well as our risen Lord, and, it should go without saying, he couldn’t be the latter without having undergone the former. So with Paul, we preach “Christ and him crucified.” Otherwise, we are in danger of losing what Forsyth once called “the cruciality of the cross” and with it the whole sense of the triune God’s cosmic intervention and continuing activity in the world over which God holds sovereignty and exercises providence. It is from this loss but a short leap to John Hick’s dubious conclusion about the non-exclusivity of the gospel, as if the gospel, which is about what God has done could abandon its central claim so that it might take its place among the religions. It should come as no surprise to us that someone who edited a book entitled The Myth of God Incarnate should follow it with one titled The Myth of Christian Exclusivity. If one denies the incarnation then it is quite true that Christianity has nothing unique to say to the world. But Christian faith does have something unique to say to the world, that God acted in a certain way at a certain time in a particular person: “Jesus Christ, the man of Nazareth, our crucified and risen Lord.” The reality of our unity as the United Church of Christ lies not in discounting or neglecting the particularity of the Christian revelation, but rather in the very act of recognizing and acknowledging it as a gift from God who has acted on our behalf. But if the gospel is particular in form, it has universal implications. The act of God in Christ was for all the world, for every people in every age. The Holy God who created heaven and earth and the atoning Christ who saves humankind from sin and death mutually indwell one another along with the Holy Spirit who makes Christ our contemporary.. Could there be a scheme more cosmic than that? Need we to look any further than the activity of the Triune God for our mission toward our fellow humans and within the whole created order? Likewise the creeds of the early church insist that there can be but one God and Lord. In the Nicene-Constantinopolitan Creed the church confesses its faith in one Lord Jesus Christ (echoing 1 Corinthians 8:5ff); the Apostle’s Creed uses the Johannine rather than the Pauline formula: ” . . .his only son our Lord” (echoing John 3:16). Both creeds clearly extend the New Testament faith that there can be but one Lord. It is a challenge for the church today to remain clear and unapologetic about our faith in Jesus Christ, the one in whom God has acted, as the sufficient revelation of the Holy God, while at the same time remaining tolerant and open to others, and carrying about ourselves a proper Christian humility, befitting those who have been given all things by God through no credit of our own. Many gods vie for our loyalty today, various cults and sects, New Age spirituality, and the subtle secular God’s of success, power, wealth, war, political ideologies of the right and the left, and other forms of seduction. God has made us worshiping creatures. We will worship someone or something and if it is not the Holy God something else will fill the vacuum. In the face of these other calls to our allegiance, we are challenged to know Jesus Christ not only as the Lord of history and the savior of the world in whom all the fullness of God dwells, but also as our own personal Lord and Savior. We are challenged by him to take our faith with utmost seriousness. He calls us to decision, to commitment, to conversion, to repentance, to a new way of life with him. I am convinced that the United Church of Christ from the very outset has been a daring ecclesial experiment in Christian freedom. If we seek our unity elsewhere than in Christ, we have no future together. In Christ, our future is promise. 1. He claimed the President had “More debt than any other president before him, and more than all the troubled governments of Europe combined.” It just isn’t true. When he took office the national debt was 10.6 trillion dollars, and is now about 15 trillion. How much of that is his? President Bush increased the debt by more than 5 trillion dollars during his two terms. President Obama has increased the debt by less than 1 trillion. The two Republican wars have been expensive, but the Bush tax cuts have been more so. 2. Ryan blamed the president for the credit downgrade last August, even though the ratings agency that made the downgrade blamed Republicans for refusing to accept any tax increases as part of a deal. 3. Ryan blamed the president for the failure of the Bowles-Simpson compromise plan, when in fact it was Ryan who persuaded other House Republicans to scuttle the plan. 4. Ryan blamed the president for the closing of a General Motors plant in his hometown of Janesville, Wisconsin, but the plant shut down in December 2008, before Obama even took office. 5. Ryan claims that “$716 billion, (was) funneled out of Medicare by President Obama,” a deliberate distortion of the Affordable Health Care Act savings by eliminating inefficiencies, when Ryan’s own plan for Medicare includes these same savings. 6. Ryan, an admirer of Ayn Rand, the high priestess of self-reliance and contempt for the poor and weak, said in his speech: “The greatest of all responsibilities is that of the strong to protect the weak,” and “The truest measure of any society is how it treats those who cannot defend or care for themselves.” Yet his budget has Draconian cuts in social programs for the poor and unwell. At the same time Ryan would give richest citizens and corporations $3 trillion in tax breaks. Four years ago, I know that many Americans felt a fresh excitement about the possibilities of a new president. That president was not the choice of our party but Americans always come together after elections. We are a good and generous people who are united by so much more than divides us. I don’t ever remember such open contempt for a sitting President, which I ascribe (at least partly) to racism, I am sad to say. So Governor Romney’s rewritten narrative that “Americans always come together after elections” is an egregious lie. “Unlike President Obama, I will not raise taxes on the middle class.” This isn’t true, but according to the nonpartisan Tax Policy Center, Romney’s own tax plan would increase the tax burden on middle- and low-income Americans if it is to be revenue neutral, as Romney promises. “His trillion-dollar cuts to our military will eliminate hundreds of thousands of jobs, and also put our security at greater risk.” These cuts are hardly “his” (President Obama’s) as they result from an agreement between House Democrats and Republicans unless they can agree on other ways to cut spending. “His $716 billion cut to Medicare to finance Obamacare will both hurt today’s seniors, and depress innovation – and jobs – in medicine.” These “cuts” are actually reductions in future Medicare spending, and they are to providers, not Medicare recipients. They also extend the life of the Medicare program, which is perhaps why Paul Ryan has included them in his own budget plan. “Today more Americans wake up in poverty than ever before.” This one is factually true, but misleading. The poverty rate, a far fairer gauge of poverty under the president, was 15.1 percent in 2010. That’s the highest since 1993, and it’s nothing to be proud of. But it’s 7.3 percentage points lower than the 1959 poverty rate. As of this morning I have received 34 “likes” and about a dozen approving comments. But I was uneasy about it. Those of you who know me know that though I rant pretty easily about this and that I do my best to avoid self-righteousness. And part of what I deplore these days is the tone of political discourse, and I worried that my frank cry of the heart was yet another ideology-driven screed. I was also pleased to see that some of my “likes” came from conservative evangelical friends. And many of them came from young adults in my children’s generation. That is heartening. I gather that you love the sinners but hate the sins of willful ignorance, intolerance, racism and misogyny. But do we really love these sinners? And what do we do, as faithful, for or with these sins? We are sinners, too, by other measures. I’m feeling confused. It’s Lent and I’m breaking this down for my daughter with an intellectual disability and some things don’t add up when I look at the fundamentals. “Love the sinner, but hate the sin” is the proper Christian admonition, but here Annette is savvy, too, as she knows how hard this is to do with any consistency. To keep such self-awareness from becoming a counsel of despair I find comfort in the Reformation insight simul justus et peccator, that we are at the same time sinners and justified by God. “Redeemed sinners” is the way I like to think of it. And something I had to learn in three decades of pastoral ministry is that there are some people who are just plain unlovable, so you have to turn them over to God who does love them. But where I come down in the end is that just because we know we are sinners too, and perhaps share in some of the same sins, we are not exempt from speaking out about the things we deplore. And I would assert that intolerence, racism and misogyny should be deplored by all people of good will, religious or otherwise, liberal or conservative, Republican or Democrat. And the use of these sins to raise fears for political gain is a double sin. Sometimes a topic is just suddenly “in the air,” and the one that is currently preoccupying me is how people behave in Cyperspace. The medium of blogging is now old enough for us all to see fairly consistent patterns emerging, and one of them, sadly, is the pervasiveness of bad manners, boorishness, and a general tendency toward a reflexive mean-spiritedness. This really shouldn’t surprise any of us who have an adequately robust view of human sin, for after all, Cyberspace is just a reflection of the “real world,” where the wheat and the tares grow together. Over the years I have had some really disturbing comments on my blogs. There are remedies one can take for this. One can choose to moderate comments (I don’t), or delete them (I usually don’t), but still it can be unsettling to have someone you don’t know flame you, call you nasty names, impugn your faith, or blaspheme your God. It happens all the time. This was the beginning on that site of a lively discussion on the issue, and another post, focused mostly on the practice of anonymous commenting, which I find to be a dubious practice. Then my friend David Anderegg, a noted child psychologist and professor at Bennington College, wrote a blogpost for Psychology Today, describing how he was repeatedly flamed and castigated on his blog after the New York Times, in a brief article about his new book Nerds, quoted him as saying that terms like nerds and geeks should be banned. The free speech crowd ate him alive, without bothering to read the book, or attend to the context of his comment, which was that such terms of derogation are keeping talented boys from pursuing studies in math and science at a critical time in their development because of the stigma of such terms. David hasn’t given up his blog, but some have gone as far as to say that Cyberspace is intrinsically evil, and should be avoided by Christians, and maybe by everyone. Even Tom Wright, in the quote above, questions whether any of us should be spending more than a few minutes in blogsite discussions. I am guilty as charged. The whole discussion of whether blogging is an appropriate vehicle for Christian expression is one that must take place, but missing in much of what I read is the whole notion of moderation. I enjoy and learn from blogs like this one and others of its ilk, of which there are many. Do I do other things? Yes. Do I interface with actual people in real life? Yes. Some of the overheated talk against blogging reminds me of some of the arguments I have heard against the use of alcohol. True, some people should never touch it. But many others are able to partake of it in a healthy and profitable way. It is not evil. So I cannot accept the argument that this new medium is intrinsically harmful. When Christians start labeling things evil, they often would do better to examine their own hearts and souls, where the problem often is located. Now I am generally a defender of blogging, and I find the access to information and to far-flung colleagues that one wouldn’t otherwise have as interlocutors invaluable. But I have been on blogs and list-serv conversations for years and recognize that there are genuine problems. My own first rule on-line is to try to remember that there is a real person at the other end of the communication, and to write as if one was speaking in person, that is face to face. That won’t entirely eliminate the bad behavior, to be sure, but it is a start. I have witnessed rude, mean-spirited interactions in universities in both Britain and America, some of the worst ones by theologians (and certain ethicists.) My teacher James Luther Adams once said to me, “The average divinity faculty makes the average congregation look like the communion of saints!” I was young then and took him at his word, but after being ordained for thirty-five years ( and serving in both contexts) I suspect he was just more familiar with the former. One of the roughest interchanges I ever witnessed was at a 1989 Society for the Study of Theology lecture at Exeter College, Oxford, where the young paper presenter, who remained gracious and calm throughout, was subject to a grueling Q and A that slipped outside the bounds of propriety. That speaker is now the Archbishop of Canterbury, so perhaps that was good training for the vitriol that he is now routinely subject to. But we should all do better than that, both in person and on-line. One of the ugly truths about blogging is that controversy gets you viewers, and one of the temptations for us bloggers is to intentionally get a kerfuffle going to attract eyeballs to our sites. To succumb to this temptation is not tending to “the better angels of our nature,” and is, as we Christians like to say, the work of the devil. I speak from experience, for I confess that I have a fairly high snark factor in both my speech and my writing, and need to constantly keep it in check. I admonish my brothers and sisters to do likewise. But there is a fine line between hurtful snarkiness and dry humor, and one needs to be aware that we can’t see each other’s faces to catch the nuances, so some care with our words is in order. Remember that people who don’t know you, don’t know you! Your friends may get you, but don’t expect that unknown others will. This suggests comments be kept brief and to the point, and as free of horns and teeth as you can possibly make them.The Christian practices that keep order in actual (as opposed to virtual) communities should be in place on-line as well. “Tell the truth in love,” “do unto others as you would them do unto you,” “be not conformed to this world,” are just a few that leap to mind. And gentleness and kindness are included in everybody’s list of gifts of the Spirit. 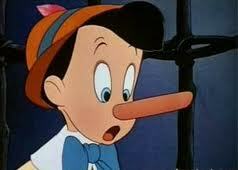 One of the practices that my Confessing Christ open forum conversation has is a sort of quiet shunning. If someone is consistently provocative and trying to pick a fight we just don’t respond, a kind of Cyber turning the other cheek. In this way we don’t embarrass the person, and typically he or she (usually he, for some reason) just gets bored and goes away, or repents and gets back in the flow. Just some thoughts. I’d be interested in yours about this, as long as you are nice about it.